Marcus Glenn was born in 1968 in Detroit, Michigan. His introduction to art was at the age of 5 when his kindergarten teacher asked him to illustrate a board that was in the classroom. Finding his passion, he decided to go to art school, attending the Center for Creative Studies (now College for Creative Studies) in Detroit. 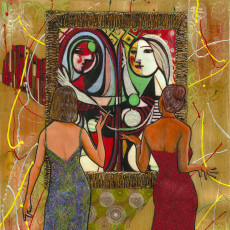 Glenn credits his artistic skills as God-given ability and to studying artists like Picasso, Jacob Lawrence, Romare Bearden, Benny Andrews and Ernie Barnes. Marcus Glenn was born in Detroit, Michigan on January 29, 1968. Glenn’s first introduction to art was at the age of 5 when his kindergarten teacher asked him to illustrate a board in the classroom. At the age of 20, Glenn participated in his first public art exhibition hosted by Gerald Marant Gallery and former Detroit Pistons player, John Salley. Glenn is commissioned by Daimler-Chrysler to paint a mural. 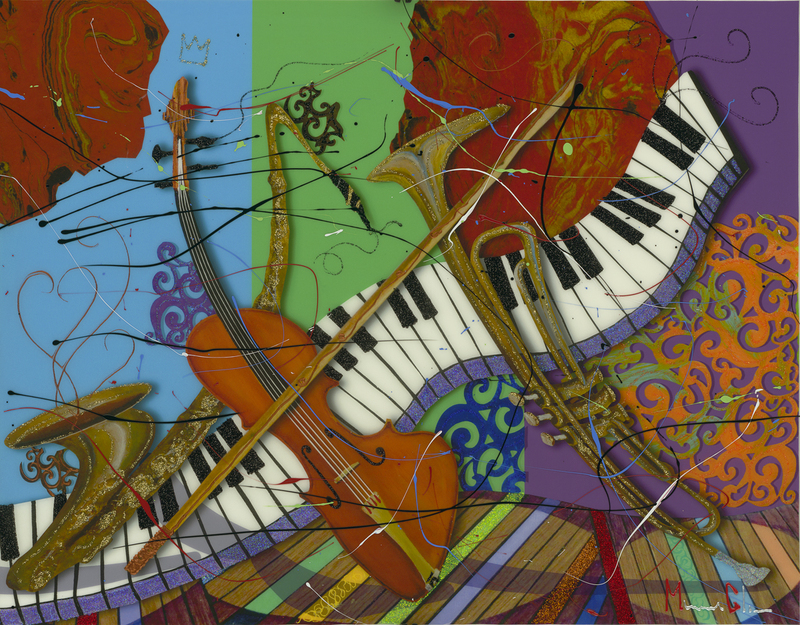 Later in the year, he is commissioned to paint a second mural for renowned restaurateur, Patrick Coleman. Glenn is featured in a group exhibition hosted by Daimler-Chrysler. 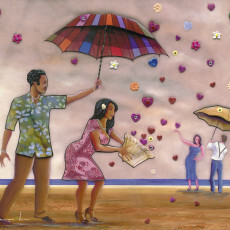 Glenn’s work is featured in his first museum exhibition held at the Charles H. Wright Museum of African American History in Detroit, Michigan. 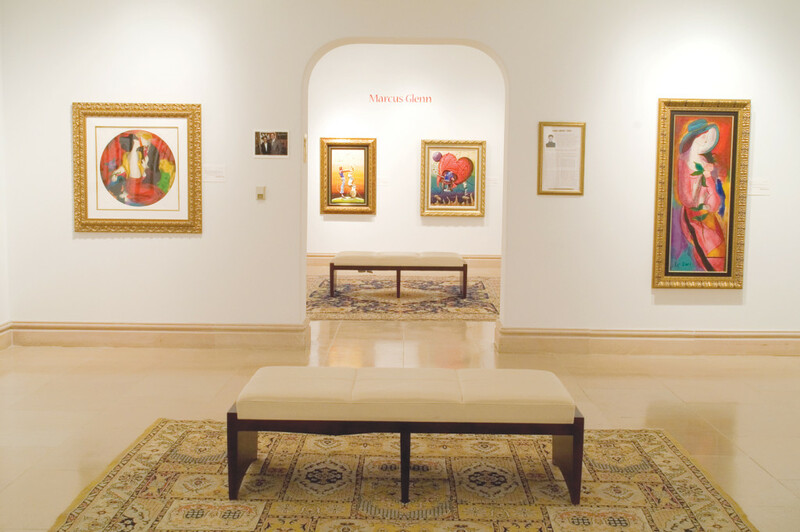 The museum hosts one of his paintings in their permanent collection. Glenn, along with three other Park West artists, helped capture and preserve the spirit of Super Bowl XL in Detroit, Michigan. Glenn created 10 unique pieces, including portraits of former Green Bay Packer quarterback Bart Starr and Indianapolis head coach Tony Dungy. His artwork, “One Nite Outta This World,” is selected as the official art for the 56th Annual Grammy Awards held in Los Angeles. Senator Victor Gregory presents a tribute from the State of Michigan to Glenn. Oakland County legislators recognize Glenn for his contribution to the culture and richness of the community. Glenn throws the ceremonial first pitch for the Detroit Tiger’s game against the Colorado Rockies. To show his thanks, Glenn created a custom painted baseball glove and ball for the team. 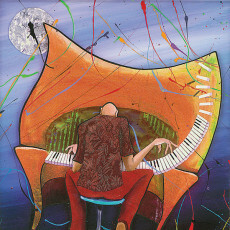 Glenn is the official artist for the Amelia Island Jazz Festival. He created the festival’s poster and donated the original for auction. Marcus Glenn was born in 1968 in Detroit, Michigan. Glenn credits his artistic skills to studying artists like Picasso, Jacob Lawrence, Romare Bearden, Benny Andrews and Ernie Barnes. Glenn's figures are animated and mannerist in approach, often stretching and twisting into impossible positions. Glenn says that he elongates his figures, breathing life into their instruments as they become one through the element of jazz. Marcus is known for his use of bright colors and his expressive use of paper and fabric, creating a masterful textured collage effect. He combines painting and sculpture in bas-relief effect, calling his style "Flat Life," which he has developed for more than a decade. His comic strip "Double Trouble" was published daily in The Detroit News and ran for three years. His career as a cartoonist only enhanced his painting, giving him the tools to tell his stories through other media.